Robert Griffin III is getting another chance to be a starting quarterback in the NFL. 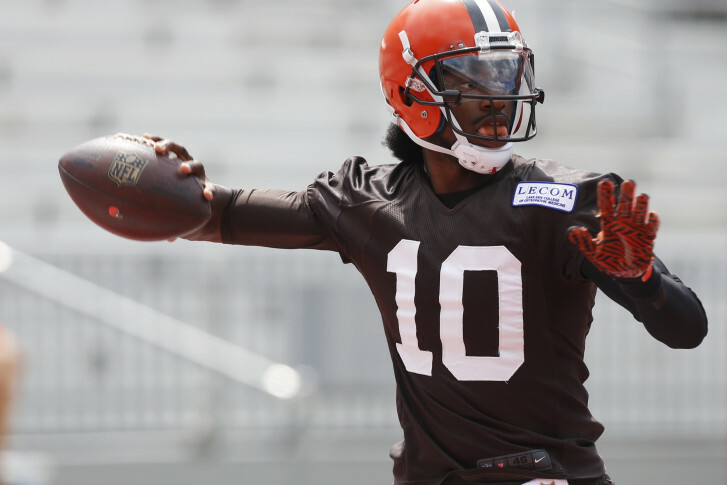 WASHINGTON — Robert Griffin III is getting another chance to be a starting quarterback in the NFL. Griffin has been named by Cleveland Browns Head Coach Hue Jackson as the team’s starting quarterback for 2016. Griffin will become the Browns 25th starting quarterback since 1999. Griffin beat out veteran Josh McCown, whose future with the team is uncertain. Jackson promised to name his starter before the exhibition opener Friday against Green Bay. The Browns wanted Griffin back in 2012, but lost out to the Washington Redskins who made a deal with the Rams to move up in the NFL Draft to select Griffin with the No. 2 overall pick. Griffin was named the 2012 NFL Offensive Rookie of the Year and guided the Redskins to playoffs. Knee injuries hampered Griffin’s progress and last season he lost the starting job with the Redskins to Kirk Cousins.